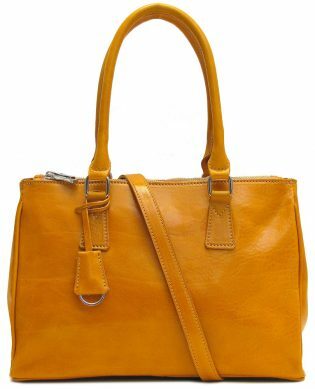 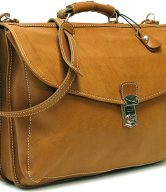 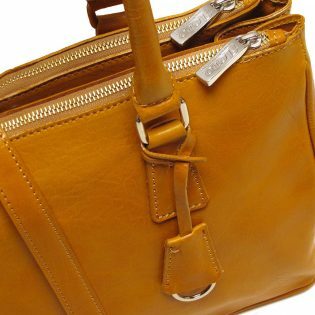 Roma Italian Leather Satchel comes in 4 colors – Black, Tuscan Red, Vecchio Brown and Yellow. 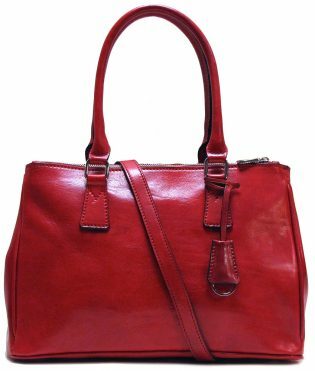 The eye-catching Roma Italian Leather Satchel is well made, classy & chic. 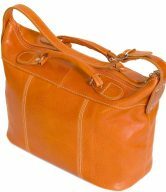 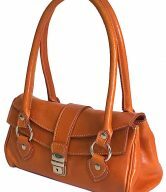 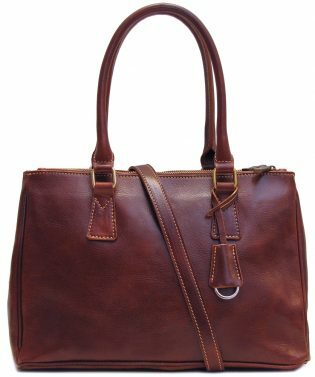 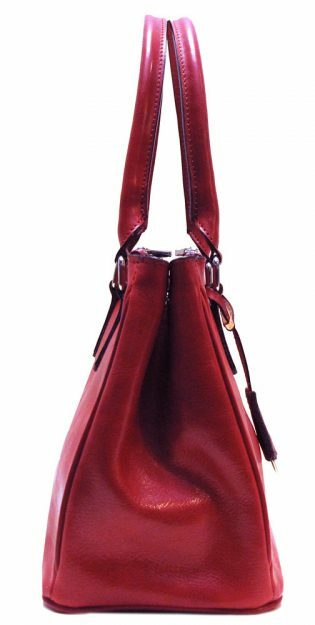 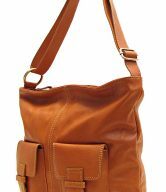 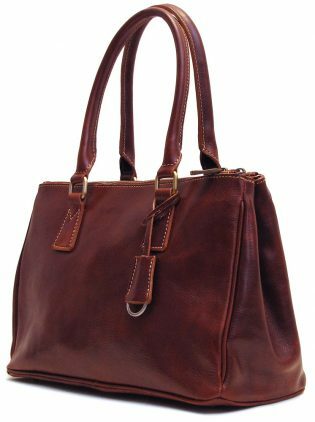 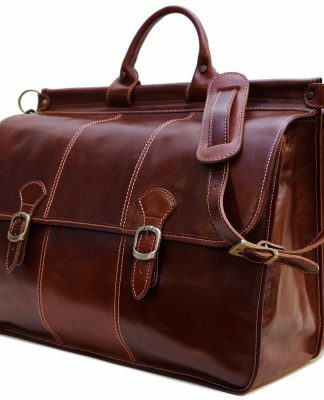 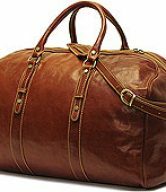 This Italian leather satchel is convertible in that it can be carried by hand, or worn as a shoulder bag or a crossbody bag. 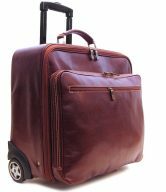 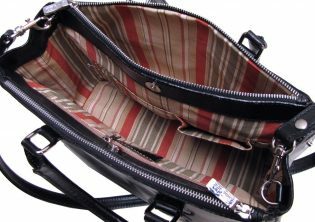 It’s perfect for the office professional, or for the weekends as a carryall to hold all of your essentials. 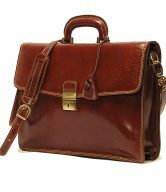 It will make for a sleek exclamation point to any ensemble, and is sure to add some style to your casual or business attire. 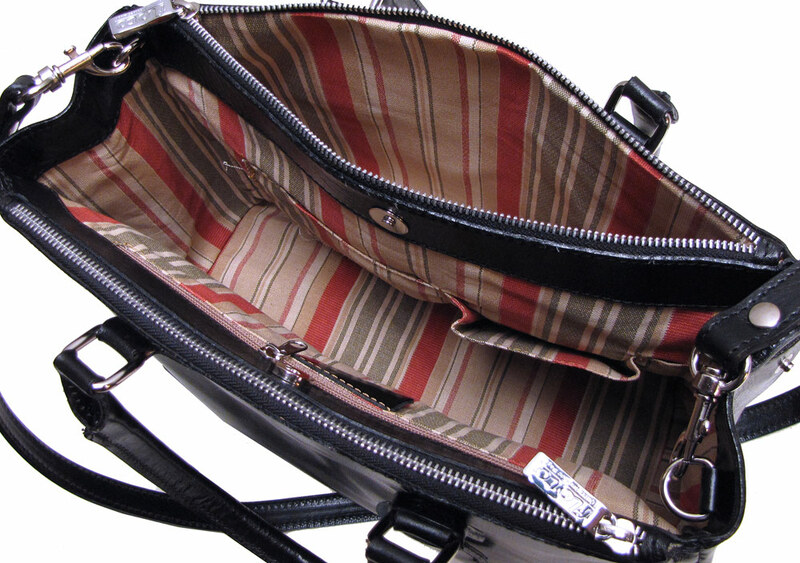 It has loads of room to hold what you need to carry, including your tablet – and more! 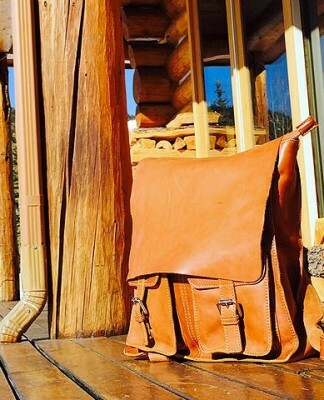 It’s already a highly coveted, über-versatile bag. 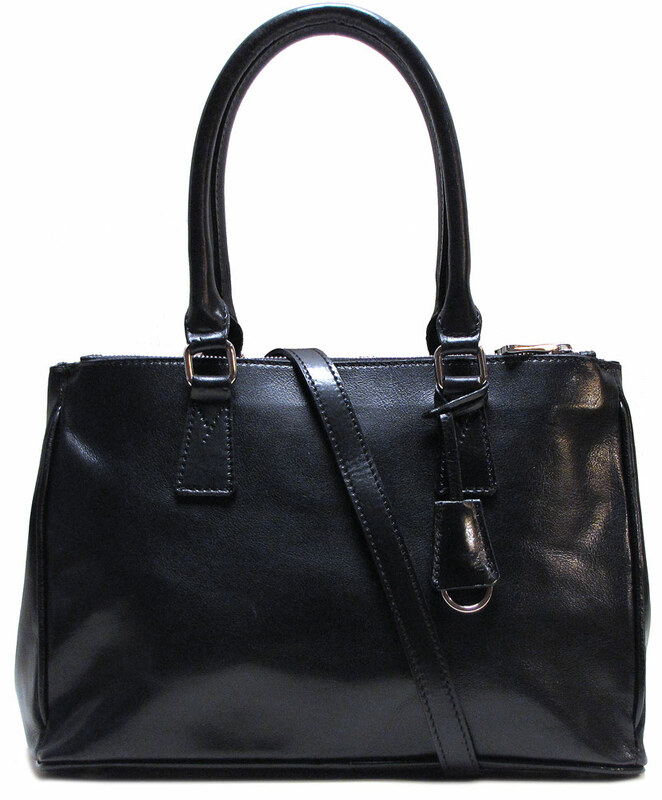 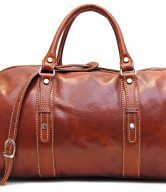 This Italian leather satchel will quickly become a favorite in your wardrobe. 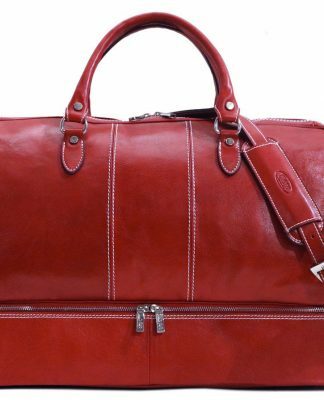 It is handmade in Italy using Floto Italian calfskin leather. 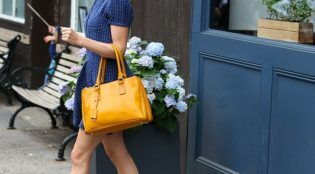 Carrying handled bags is on trend right now, so feel free to tap the crossbody trend with this Italian leather satchel. 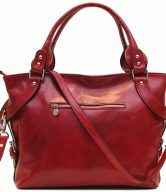 The Roma Italian Leather Satchel comes available in your choice of 4 city-chic colors – Black, Tuscan Red, Vecchio Brown and Yellow. 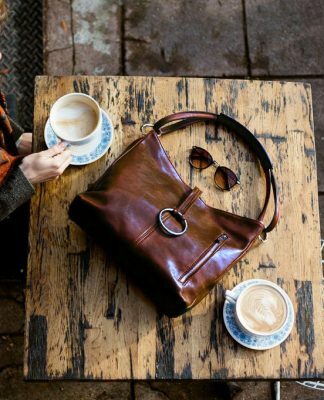 The options may be many, but one thing is clear – it’s a major obsession. 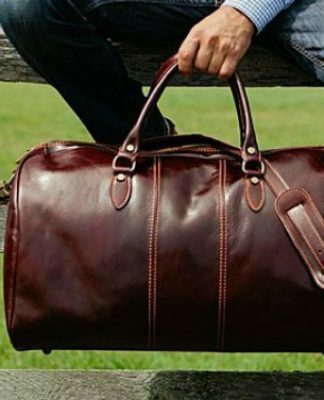 You’re probably going to want more than one!